On Friday 15 March 2019, the world witnessed yet another crime against humanity. 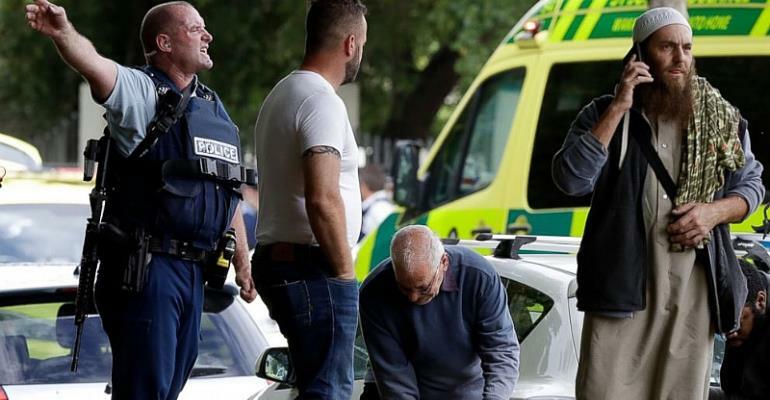 About 49 Muslims who had gathered at two separate mosques for the weekly Friday prayer were killed and several others injured in the most despicable manner by a man rightly labelled by the Prime Minister of New Zealand as a terrorist.
" I blame these increasing terror attacks on the current Islamophobia post-9/11 where Islam & 1.3 bn Muslims have collectively been blamed for any act of terror by a Muslim. This has been done deliberately to also demonize legitimate Muslim political struggles. " It is common knowledge that this incident is not the first of it's kind in which Muslims were specifically targeted because of their faith. A quick search on the internet of a list of Islamophobic attacks returns with an endless list perpetrated in different geographical locations with several casualties. It is also interesting to note that this list appears to be longer than other categories of terrorism which is perpetrated by deviants and terrorists attributing themselves to Islam. This confronts us with a serious question especially following much more recent attacks like the Quebec shootings in 2017 and this present Christchurch shootings: What level of threat has the global community placed on Islamophobia? What mechanisms were/have been put in place to prevent future occurrences? Is the security threat that is associated with Islamophobia treated with the same urgency and importance as what is popularly referred to as terrorism if the criminal bears a Muslim identity? The answers to the above questions are obviously in the negative. To illustrate this further let's critically examine the following scenario: In 2011, the notorious terrorist Anders Behring Breivik committed serious crimes of terrorism against the Norwegian people and their Government. It would have been expected that all countries would treat any ally of this terrorist or anyone motivated by him as a threat to human life. Now in 2019, another terrorist in New Zealand who has openly professed his admiration for Breivik, praised him for his actions and actually wrote a so called Manifesto published online filled with hate speech targeted at Muslims (or immigrants as he calls them) killed about 49 innocent lives in a similar manner to what his mentor did previously. What makes it more frightening is that this terrorist says he received praise and commendation from members of his like mined group for perpetrating this crime. This means that there is an active terrorist cell prepared to further unleash violence on innocent Muslims simply because of their faith. We are tempted again to ask the following questions: Is it possible to imagine associates of the terrorists bin Laden or Baghdadi walking freely and publishing their views on the internet without surveillance? Likewise is it possible for someone motivated by them to even openly express his/her likeness for them without efforts been made to track them? Why then does it appear so in this case? Thus, it is obvious the global security apparatus views Islamphobia as a much lesser threat, that is even if they believe so, as compared to crimes perpetrated by Muslims which they conventionally call terrorism. This is the sad reality and the earlier we all as community rise to tackle the security threat Islamophobia poses the better for us. Suspects or people known for links to islamophobic groups should be carefully put under surveillance and monitored. Islamophobia disguised under the pretext of fighting immigration as we see top political personalities doing should be properly probed and the necessary sanctions handed to them. Campaigns against Islamophobia should be incorporated into already existent campaigns against terrorism. Schools and civil society should design curricula for teaching and training students as well as the general public against Islamophobia. This author has authored 16 publications on Modern Ghana. "an Open Letter To Martin Amidu"